Rep. John Conyers casually mentioned missing slain federal intern Chandra Levy when a former office intern rebuffed his advances, the woman said. Courtney Morse told the Washington Post that she quit her internship with the Michigan Democrat after he made unwanted sexual advances after driving her home a decade and a half ago. Morse, 36, was a 20-year-old college student when Conyers "drove her home from work one night, wrapped his hand around hers as it rested in her lap, and told her he was interested in a sexual relationship," according to The Post. When she rejected his advances, Morse said Conyers brought up Levy's disappearance. Levy, a Federal Bureau of Prisons intern, disappeared in 2001. Her remains were found a year later in a park in Washington. "He said he had insider information on the case. I don't know if he meant it to be threatening, but I took it that way," Morse said. "I got out of the car and ran." Conyers, the longest-serving member of the House, announced his retirement on Tuesday, amid a cascade of allegations that he sexually assaulted women who worked for his office. His decision comes after it was reported last month that Conyers' office paid a former aide more than $27,000 to settle a wrongful dismissal complaint. Conyers has denied the claims, saying he hasn't harassed anyone and that the payment to former staffer Marion Brown was a severance payment, not an admission he did anything wrong. "It's obvious to me that Rep. Conyers is 'retiring' because of the courage of the sexual harassment accusers who have spoken out against him, including my client, Marion Brown, who went through the process in 2014 — an excruciating, slow, silencing process — and then had the courage to speak out against him last week," Brown's attorney, Lisa Bloom, told the Daily News on Tuesday. 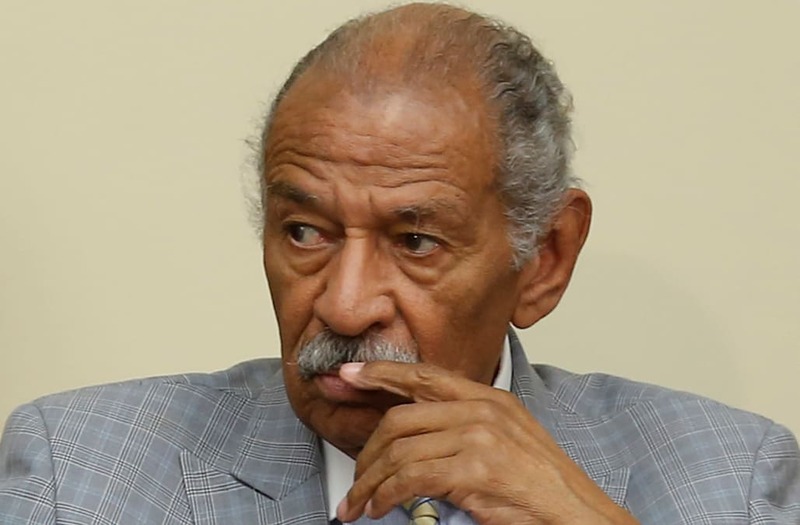 Another former staffer came forward last week to accuse Conyers of groping her and making other unwanted advances. Another spoke out on Monday, saying that the congressman groped her during a church service. The 88-year-old has denied any wrongdoing. Several of the civil rights leader's fellow Democrats called for him to step down as the women came forward. Morse said Conyers' retirement amid the growing scandal lets the lawmaker off easy.